The problem with commercial skin care products is that you can never be sure what ingredient goes into making them. These products may contain chemicals and other harsh ingredients that may cause harm to your skin in the long run. Fortunately, there are safer ways to pamper and care for your skin, and that is by using natural ingredients and making your own beauty products. 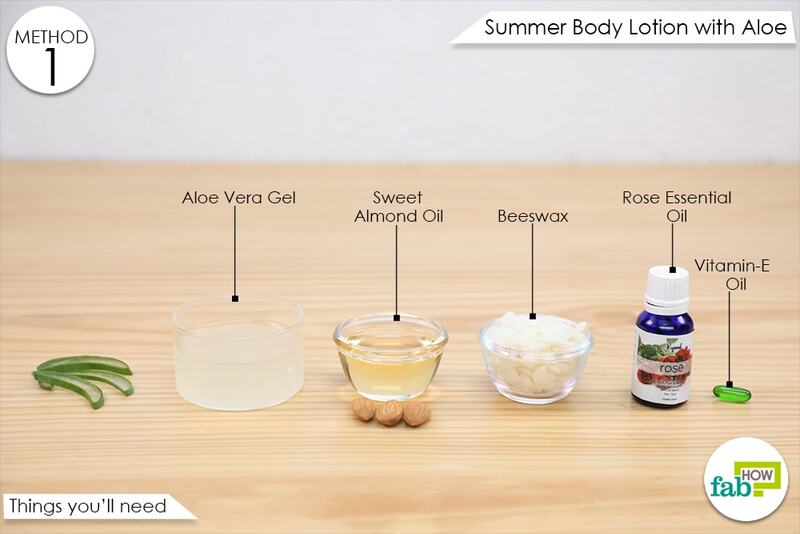 For instance, did you know that you can make your own body lotion at home? Making your own body lotion is easier than you think! It is all about using the right ingredients. Many natural ingredients can help rejuvenate and protect your skin without causing any damage or side effects. 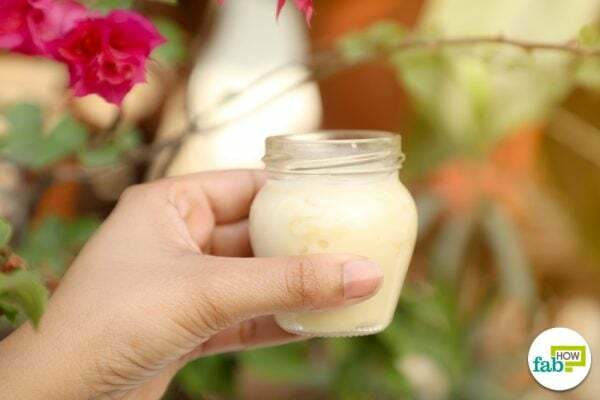 Here are four healing and nourishing homemade body lotion recipes using natural ingredients that you can prepare in just a few minutes. This lotion comes with the benefits of aloe gel, beeswax, sweet almond oil, Vitamin E oil, and rose essential oil. Aloe Vera and Vitamin E have skin healing benefits. Rose essential oil has many therapeutic qualities and is great for the skin. It has antioxidant, antiseptic, antiviral, astringent, and antibacterial properties, just to name a few benefits. It helps in keeping the skin hydrated and moisturized, fights signs of aging, acts as a toner, and protects the skin from sun damage. Rose essential oil can also help tackle skin problems like acne and works well for sensitive skin type. It is also believed to be useful in reducing the appearance of blemishes, scars, and spots. Regular use of this lotion can give you a moisturized and healthy skin. 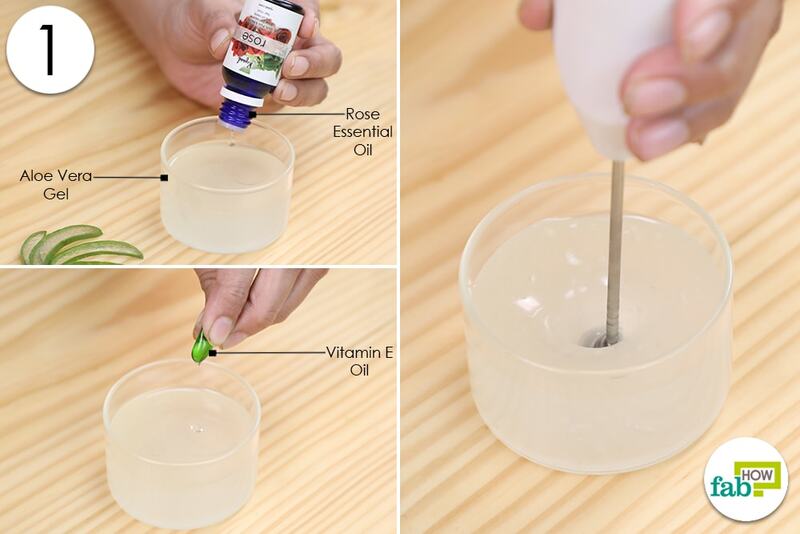 Combine the aloe vera gel, rose essential oil, and vitamin E oil in a bowl. Mix well using a hand blender. Put the beeswax in a heat-safe glass cup or bowl and put it in. 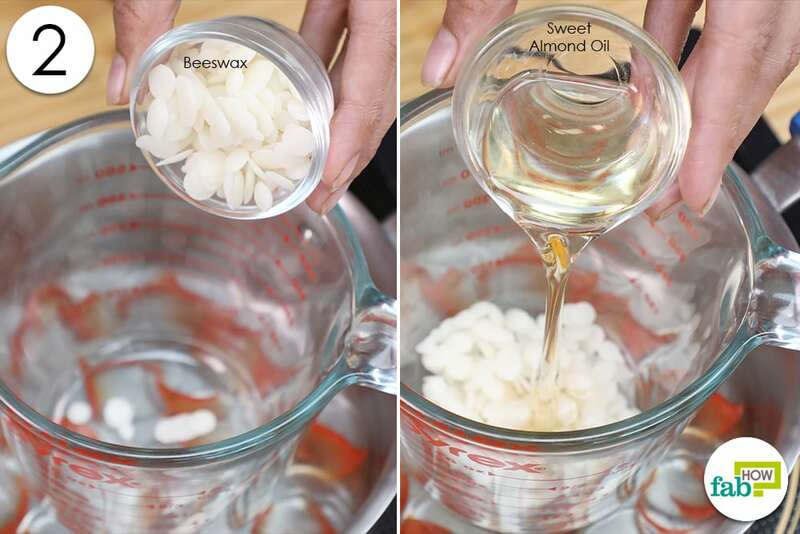 Pour the almond oil into the beeswax. 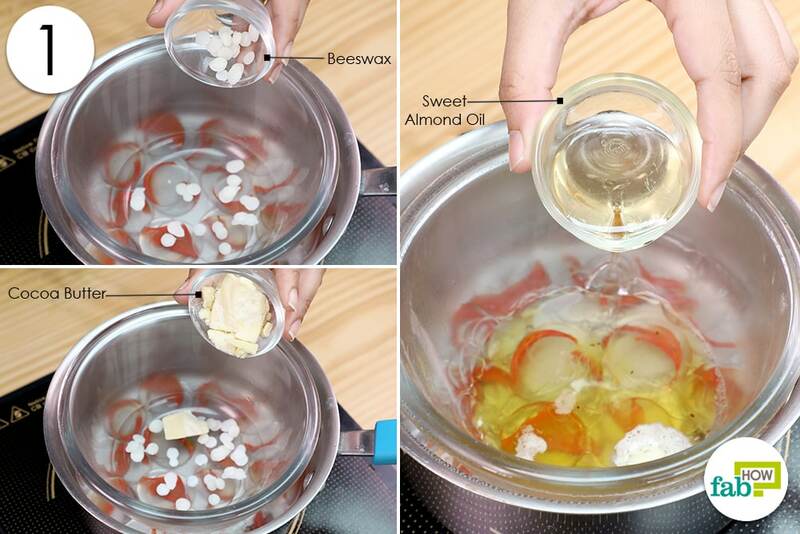 Once the beeswax has melted, remove the mixture from the double boiler. 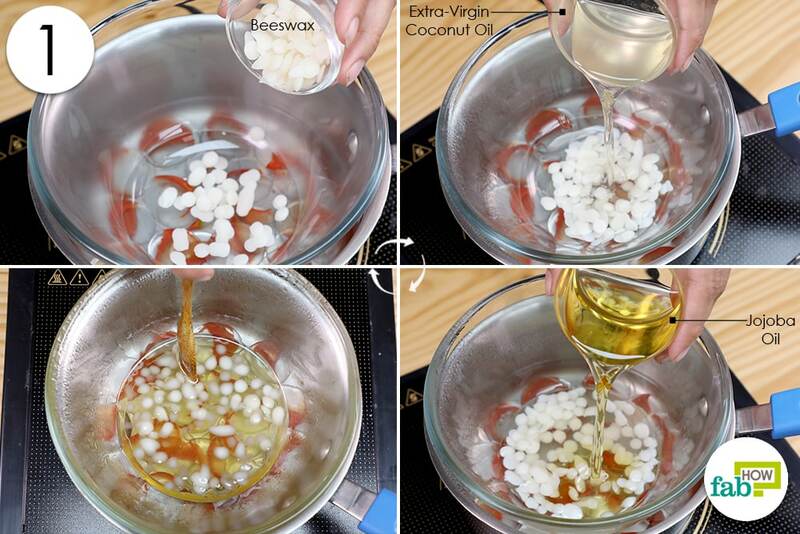 Combine the aloe vera gel, vitamin E oil, and rose essential oil mixture with the melted beeswax and almond oil. Use a hand whisk to mix the solution. It will take a creamy form once the beeswax begins to cool. Transfer the lotion into a jar. This mixture will stay good for a week. Keep it refrigerated if you want to store the lotion for a longer period. Aside from the goodness of jojoba oil, beeswax, coconut oil, and lavender essential oil, this lotion also contains chamomile essential oil. 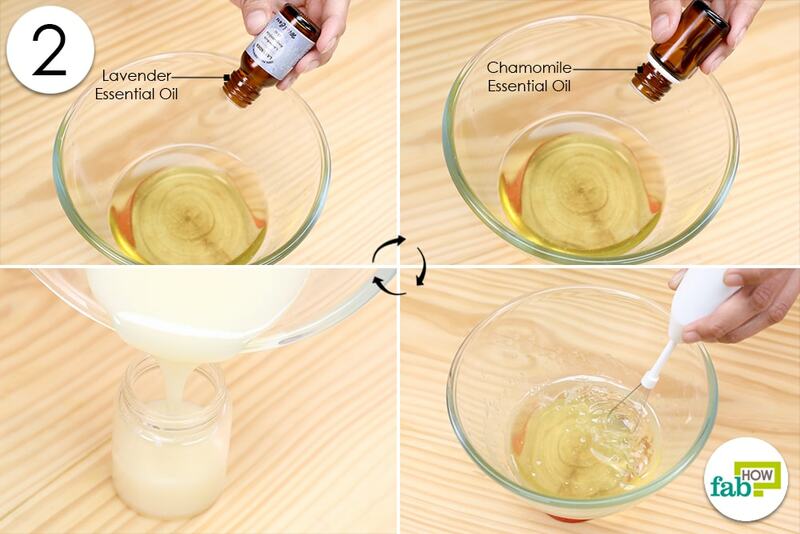 Chamomile essential oil has a very relaxing and calming fragrance and is often used in aromatherapy products. It also offers several skin care benefits owing to its antiseptic, antibiotic, antibacterial, anti-inflammatory, anti-infectious, and analgesic properties. Chamomile essential oil is used topically for the treatment of eczema, boils, dermatitis, cuts, bruises, etc. It also helps soothe, heal, and moisturize dry and damaged skin. Use this calming and conditioning lotion daily before going to bed. Let it work its magic overnight, and you will wake up to a smooth and supple skin! Put in the beeswax, coconut oil, and jojoba oil in the boiler. Stir and heat the ingredients until the wax has melted completely. Remove the mixture from the stove. Add the chamomile and lavender essential oils. 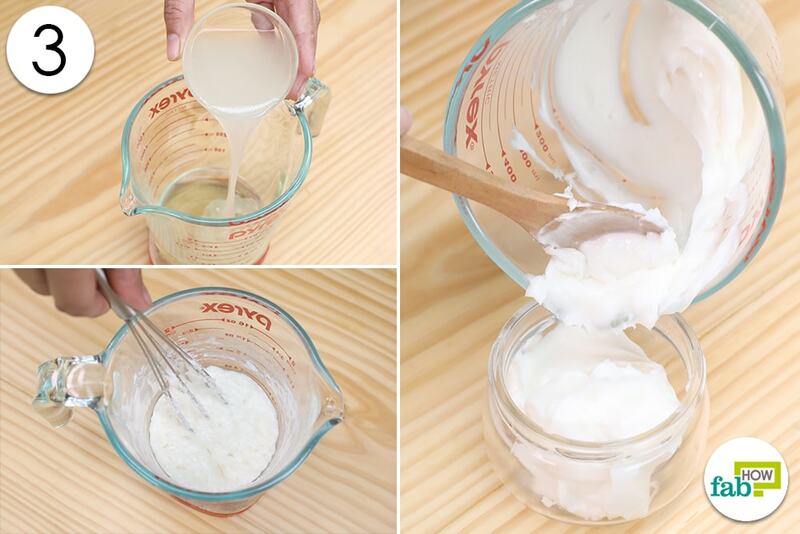 Transfer the lotion in a sterile jar. Apply this lotion before going to sleep every night. 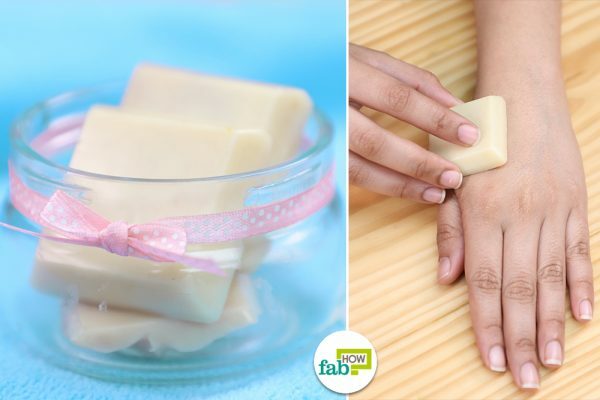 These convenient easy-to-carry lotion bars are very simple to make. 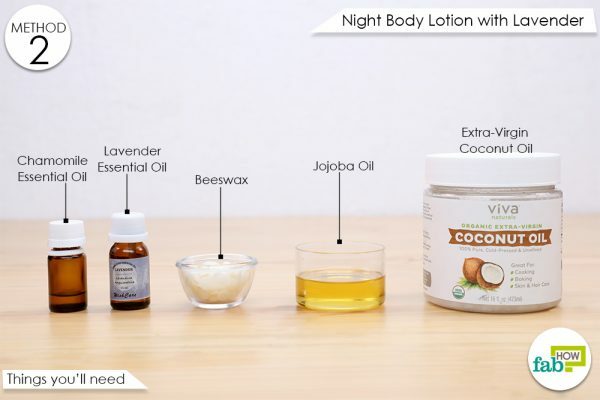 They are made from a combination of moisturizing and healing ingredients like beeswax, coconut oil, cocoa butter, and vanilla. Other than having a “delicious” scent, vanilla offers several skin care benefits. Being rich in antioxidants, it will enhance the effectiveness of your lotion and offers you healthy, beautiful, and younger-looking skin. Put some water in a pan and place a glass measuring cup in it to prepare a double boiler. Add the cocoa butter and beeswax together in a measuring cup. 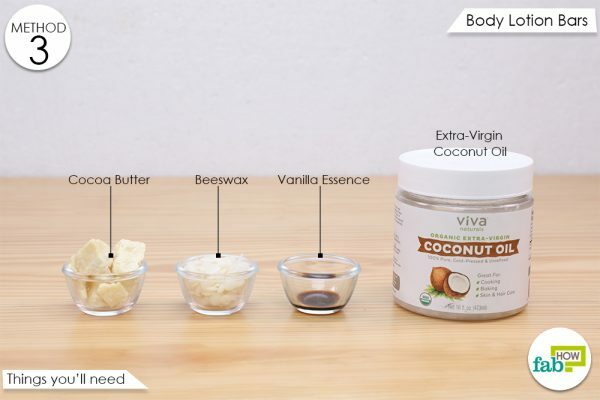 Mix in the coconut oil once beeswax and cocoa butter have melted. Pour the lotion in silicone molds. Take out the bars from the molds. To apply, rub the bars over the skin and massage. This is the perfect solution to keep your skin hydrated and moisturized throughout the day. This nourishing day lotion will also help protect your skin from damage and make it glowing and radiant! Prepare a double boiler and put the cocoa butter and beeswax pellets in it. Add the sweet almond oil once the other two ingredients have melted. Stir the ingredients to combine well. 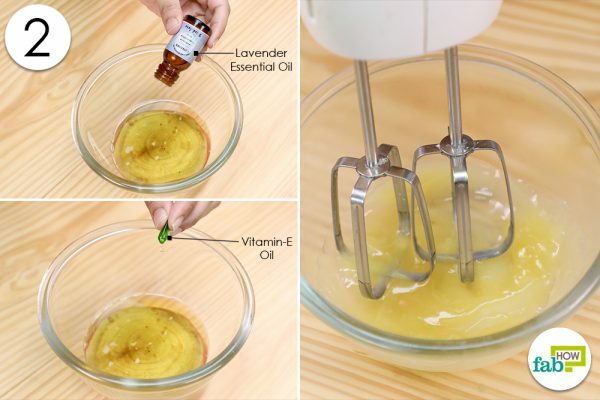 Add the vitamin E oil and lavender essential oil. Add the distilled water slowly and keep blending the mixture simultaneously. Continue blending for a few minutes. 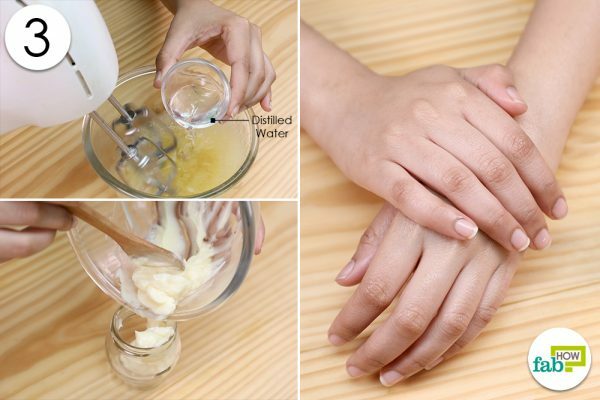 Transfer the lotion in a jar and use. Cocoa butter: Cocoa butter is the concentrated fat obtained from cocoa beans. It is easily absorbed by the skin and helps keep it hydrated and moisturized. It is rich in antioxidants that can fight free radical damage and keep your skin healthy. This ingredient also improves the skin tone and texture and protects it from toxins and pollutants. Cocoa butter is often used for lightening scars and stretch marks, reducing pigmentation, and soothing the skin. Coconut oil: Coconut oil is capable of penetrating deep into the skin, keeping it hydrated, and making it soft and supple. 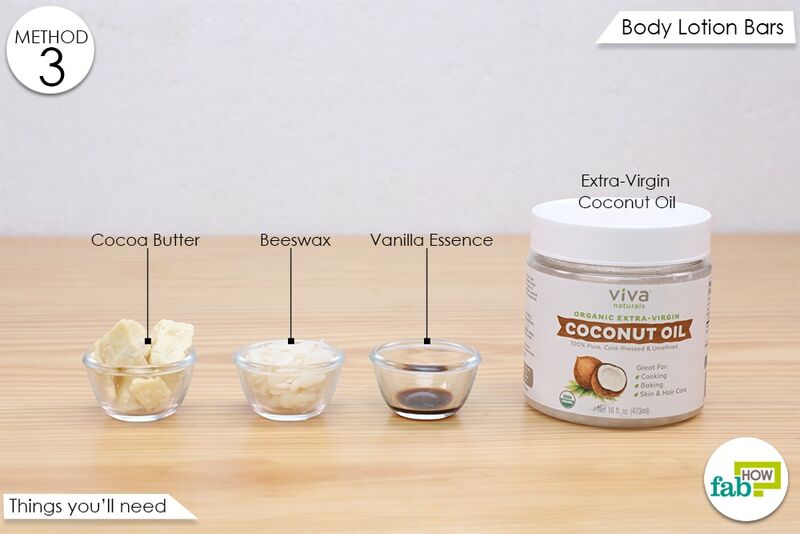 Coconut oil is made up of medium-chain fatty acids (caprylic, capric, and lauric acids), healthy saturated fats, minerals, vitamins, and other important nutrients that are needed for a healthy body and healthy skin. These nutrients work wonders for dry and damaged skin and help in healing processes. It also has a high level of antioxidants and possesses antiviral, antifungal, antibacterial, and antimicrobial properties. 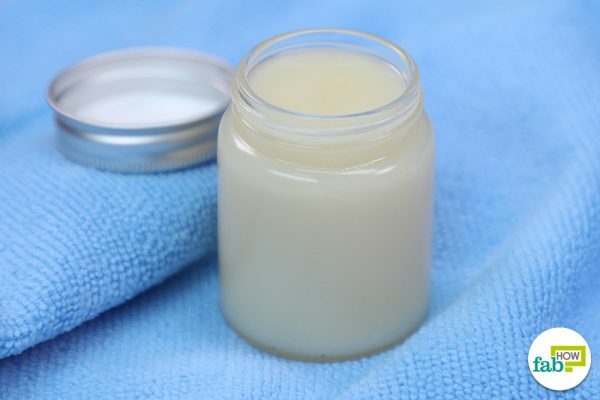 It offers very effective moisturizing benefits, which make it a popular ingredient for making creams, lotions, balms, etc. just a few of the many skin problems that are treated with the help of coconut oil include: stretch marks, dark spots, scars, sun damage, signs of aging, uneven skin tone, and skin infections. 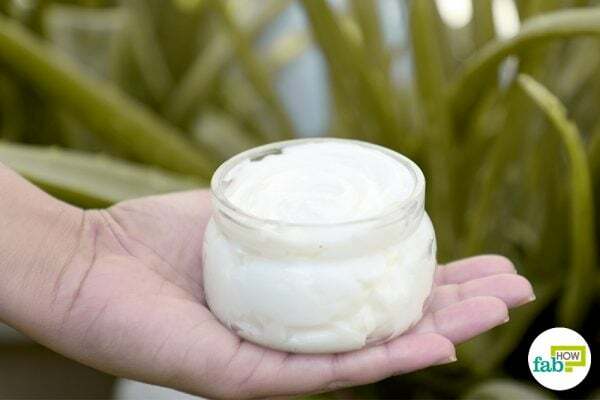 Aloe vera gel: Aloe vera gel effectively nourishes and moisturizes the skin, reduces signs of premature aging, fights skin problems, prevents sun damage and infections, treats sunburns, and rejuvenates dull and damaged skin. It has healing and soothing properties. Aloe vera contains vitamins, minerals, amino acids, antioxidants, and many other beneficial compounds. What makes this ingredient especially good for the skin is its antiviral, antibacterial, and anti-inflammatory properties. This ingredient is exactly what you need for a clear, smooth, and younger-looking skin. 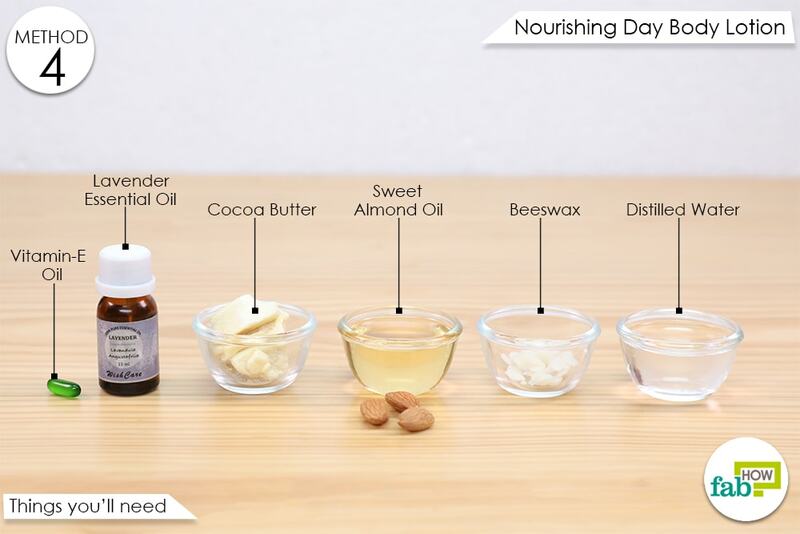 Sweet almond oil: Almond oil helps in making the skin smooth, soft, and flawless. This light oil is easily absorbed by the skin and can help get rid of the dirt, impurities, oil, etc., that accumulate in the pores. You may use this ingredient to reduce dark circles, remove suntan, treat skin ailments, cure rashes, and prevent the early signs of aging, among other uses. It can also help protect the skin from oxidative stress and sun damage. 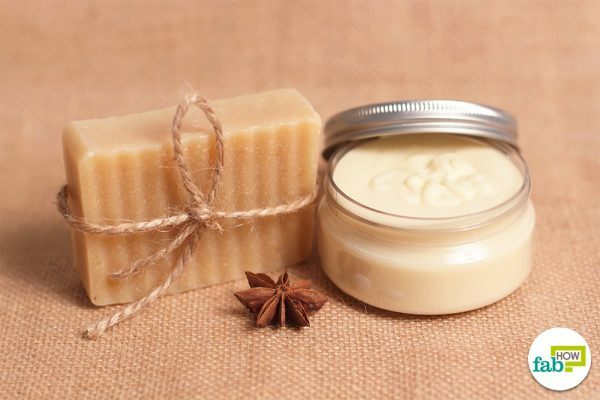 Beeswax: Beeswax is a staple ingredient in the world of beauty and skin care. It helps to stabilize lotions and prevents the other ingredients from separating. 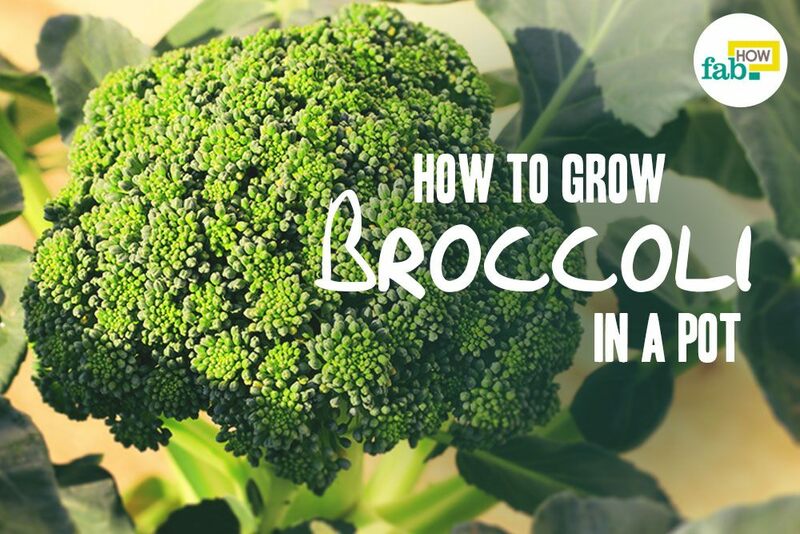 This nutrient-rich ingredient will help you get a healthy and nourished skin. It helps keep the skin moisturized and hydrated by creating a protective barrier over it. It also shields the skin from toxins and irritants and soothes itchy or inflamed skin. The vitamin A content of beeswax plays a role in promoting skin cell regeneration. Jojoba oil: Since jojoba oil is very similar to the “sebum” produced naturally by our own skin glands it can be used to treat various skin disorders. It is non-greasy and light which does not clog the pores and works for all skin types. Jojoba oil effectively fights signs of aging and helps protect the skin from sun damage. Jojoba oil is used to condition, heal, and protect the skin. It is effective in retaining moisture in the skin, thus keeping it fresh and hydrated. Vitamin E: This powerful antioxidant is useful in fighting signs of aging, such as wrinkles and age spots, as it boosts collagen production and helps improve skin elasticity. It helps in reducing the appearance of scars, repairs damaged tissues and keeping the skin moisturized. It is known to offer anti-inflammatory and healing benefits to the skin and capillaries. Vitamin E is also believed to be capable of reversing the damage caused by free radicals and UV rays. Lavender essential oil: Lavender oil has calming effects and is often used in massage oils. With more than 150 active constituents, this commonly used essential oil offers several physiological and even psychological benefits. It has antimicrobial, anti-inflammatory, antiseptic, and antibacterial properties, and it can be used as a remedy for several skin problems. Lavender essential oil owing to its antioxidant content can also be used for skin detoxification. It is also useful in healing minor cuts and wounds, relieving pain, treating acne, and toning the skin, to name a few. Always test mixture on a small area before first complete application, and be advised that some areas of skin on the body may react differently. It is best to prepare a fresh batch every month or as indicated. 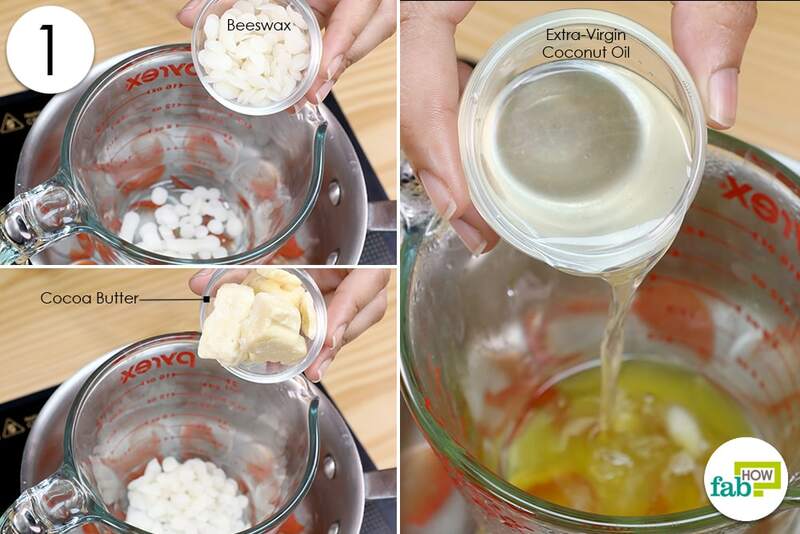 For hotter temperatures, make the bars firmer by increasing the ratio of beeswax to coconut oil and cocoa butter.